As a manager, do you make encouraging others part of your workday? 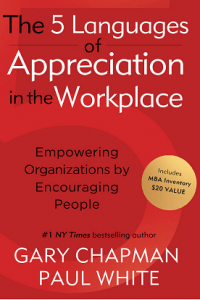 Do you understand the value of authentic appreciation in creating a supportive work environment? Do you know when and how to share appreciation? 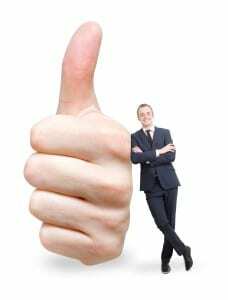 Read this recent article by Tim Brown in “A” Magazine titled “applauding employees good work – you can do it” to learn some tips and best practices. And if you answered “no” to above questions, a new language might help! HR can support you. Contact us about bringing the 5 Languages of Appreciation in the Workplace training to your team! Email DevelopU@smu.edu or call Mary Stall at 8-2194 for more information. 79% of employees who quit their jobs cite a lack of appreciation as a key reason for their leaving! 87% of job seekers report the #1 characteristic they desire in a workplace is to feel valued! 65% or North Americans report that they received no recognition or no appreciation at their workplace in the past year! managers like their jobs more! Want to Build a Stronger Team Through Appreciation? The program consists of 4 modules of training with an Motivating By Appreciation assessment so team members can learn their primary, secondary, and least valued language of appreciation. Join us at the Staff Association sponsored Lunch and Learn Series in the month of February or contact Mary Stall directly to learn more about offering the training with your intact team.